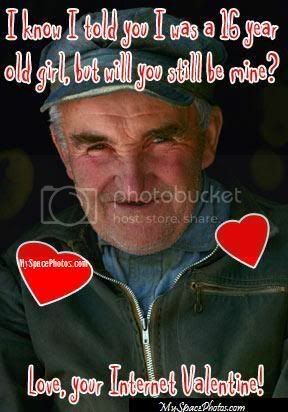 Found these funny valentines in odd corners of the net and had to share. Happy Valentines Day to everyone-- hope you have a delightful day filled with love and chocolate as well as the occasional laugh. Love is grand, but it is also very funny. I'm into Natural Selection AND Charles Darwin. How about you? Enjoy your own funny Valentine week-end. See you on Monday. YIKES! That's one silly looking dog! Those are funny! I like the one that says it isn't complicated enough--no kidding! Ugh, thank goodness it's over. I so enjoyed reading this one. My sides are hurting ssoooo much with laughing.